As a second generation Chiropractor the art of Chiropractic has been apart of Jay’s life since day one. Growing up witnessing the power of the adjustment, he is very grateful for the opportunity to serve the public. 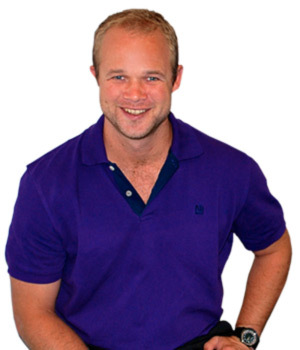 Jay Smyth attended university at Murdoch Chiropractic in Perth, and has also worked in WA. He has experience in diversified, SOT, Activator and Thompson technique. All of these methods are gentle and suitable for all ages. Jay is also involved in chiropractic missions both locally and abroad, which provide free chiropractic care, first aid and medical supplies to the communities in need. Learn more under the Mission Work page. On a personal level, Jay is a mad Hawthorn Hawks supporter and a keen golfer. As a chiropractor, he is very passionate about helping patients understand the potential of their health. Jay’s passion is adjusting you, so you can be at your best!